Post-it® Super Sticky Dry Erase Sheets are the instant, versatile whiteboard solution to collaborate and to learn anywhere. Post-it® Super Sticky Dry Erase Sheets transform regular desks, tables and other surfaces into interactive writing spaces. They are easy to install and require no tools, just peel and stick. 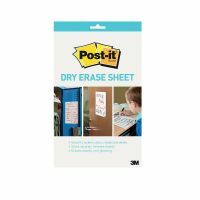 utilising a proprietary dry erase coating, Post-it® Super Sticky Dry Erase Sheets are stain-proof and erase cleanly every time. 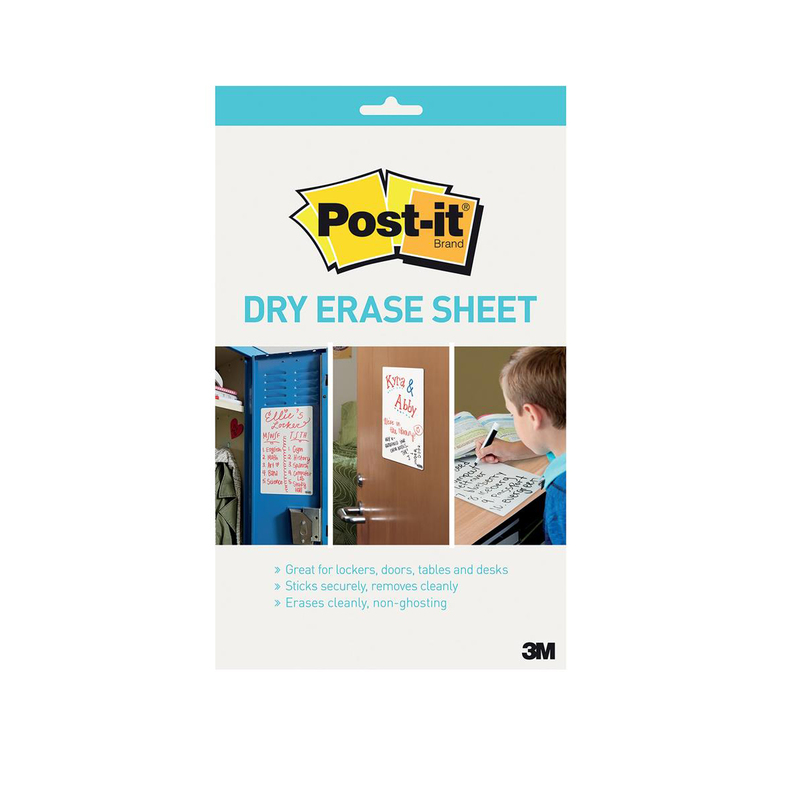 Post-it® Super Sticky Dry Erase Sheets are cut-to-fit and provide endless possibilities for dry erase solutions in new places. 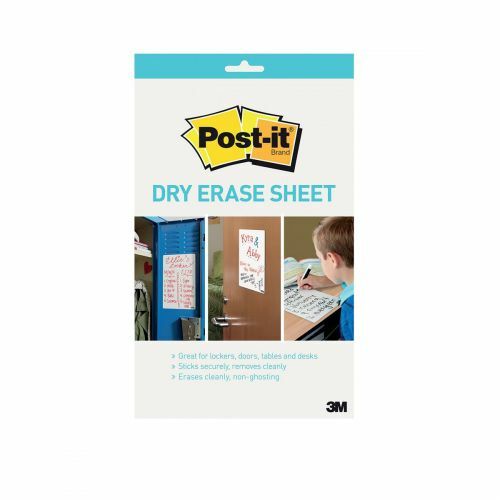 Post-it® Super Sticky Dry Erase Sheets can be used on desks and tables but also on doors and windows. Post-it® Super Sticky Dry Erase Sheets are the flexible, instant whiteboard solution.